Flake the fish and remove guts. Then score the fish skin diagonally, allowing the masala flavors to penetrate and season the meat better. Put the masala ingredients in a mixer/blender adding a bit of water to get an even paste (i.e., masala). 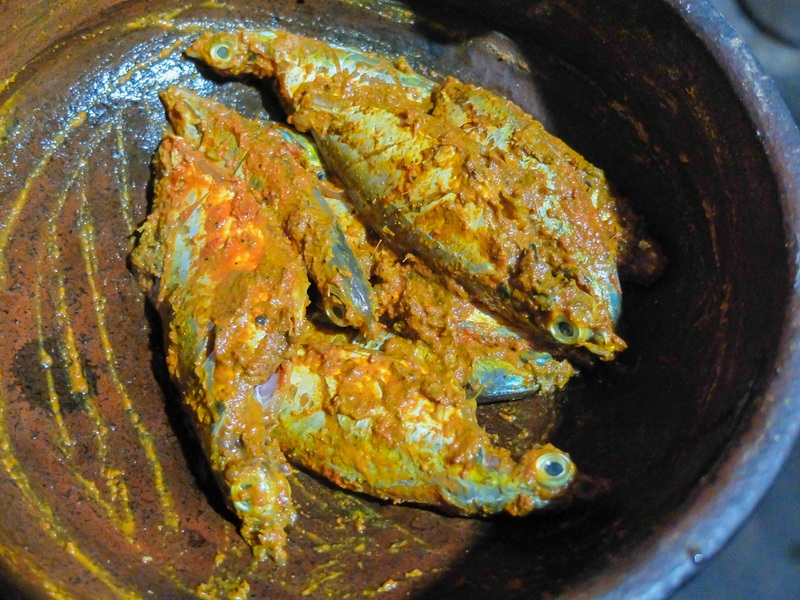 Dip the fish in the masala mix and leave to marinate for at least 30 minutes. 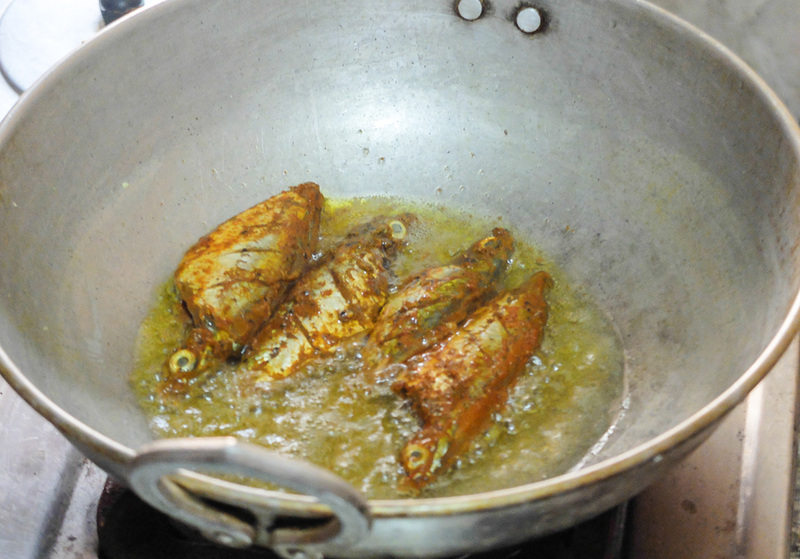 Fry the fish in boiling hot coconut oil. NB: The fish should get a nice crispy crust; the thicker the crust, the more intense the flavor given by the spices.